Columbus State University Biology Majors have published a paper about their research on treating antibiotic resistant bacteria. The students were focusing on alternative therapies to treat Acinetobacter haumannii, which causes urinary tract infections, pneumonia, burns and wound infections, and septicemia. 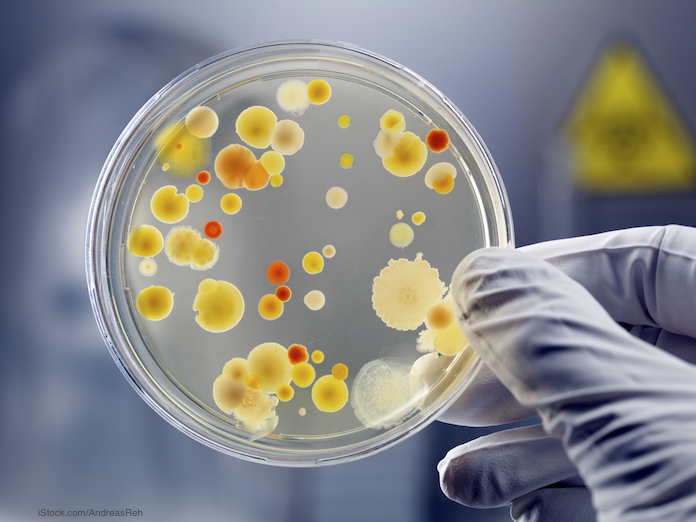 The World Health Organization has said that antibiotic resistant bacteria is a major public health concern and may cause millions of deaths in the future because of untreatable common infections. And in 2016, the CDC found that antibiotic resistant Salmonella causes more than 6,000 illnesses in this country every year. Those types of infections are linked to beef, dairy, poultry, produce, and eggs. The paper, titled “The Effects of Antimicrobial Peptides WAM-1 and LL-37 on Multidrug Resistant Acinetobacter baumannii, is published in Pathogens and Disease. The students found that a particular peptide was effective in killing bacteria that are resistant to most antibiotics. The students looked at the interaction of cathelicidin antimicrobial peptides WAM-1, a marsupial AMP, and LL-37, a human AMP, with A. baumannii clinical isolates. They characterized the antibiotic resistance of the isolates, the synergistic activity with antibiotics, the bacteriostatic and bactericidal effects, and their effects on biofilm formation and dispersal. The peptides WAM-1 and LL-37 showed variable activity. WAM-1 had a stronger bacteriostatic effect. Both of the peptides inhibited biofilm formation in all clinical isolates. The results suggest that the bacteria’s susceptibility to AMPs may create innovative therapies to treat or prevent these infections. In a study published in Ireland in 2014, researchers found that disinfectants did not kill Salmonella bacteria biofilm, which the pathogen grows to defend itself. Bacteria communicate with each other through the biofilm, and the aggregate helps defeat antibiotics. And that biofilm becomes denser over time on surfaces such as stainless steel and glass, which means they can establish themselves in food facilities. Finding peptides that may inhibit Salmonella biofilm formation could lead to more effective treatments in the future.